Don’t you love it when you finally finish a project that you have had in the works forever?! That’s how I feel about my mini book covers! I actually started making the mini book covers last year to go on our theme posters. We would read and talk about the theme of a book and then add the picture to our posters! 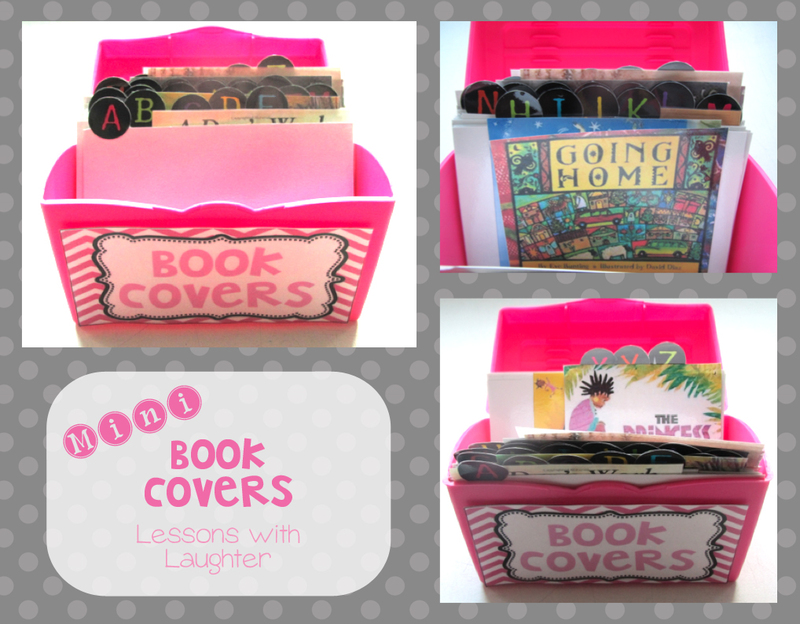 Well, then I had all these little laminated mini book covers and nowhere to put them! So I got this index card box, which worked perfectly! I also wanted to arrange the book covers alphabetically so they would be easy to find. I found adorable circle alphabet stickers at the Target dollar spot over the summer (told you I’ve been planning this forever! ), which I put on index cards, and then ran through the laminator. I still have many more book covers I want to print and laminate, which I’m sure I’ll get done eventually! Another project that I’d been planning for months was making fact family flashcards for my students to practice their math facts! 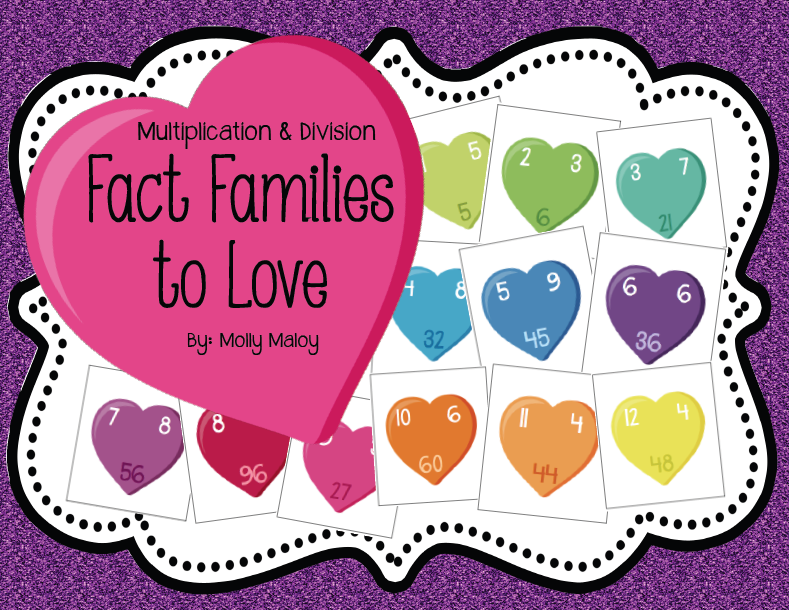 I love the fact family cards because they can be used for both multiplication and division (or addition and subtraction), and students can really see how all three numbers are related. I printed and laminated the flashcards and then put them on rings. I grouped them together (facts 1-5, facts 6-9, and facts 10-12). 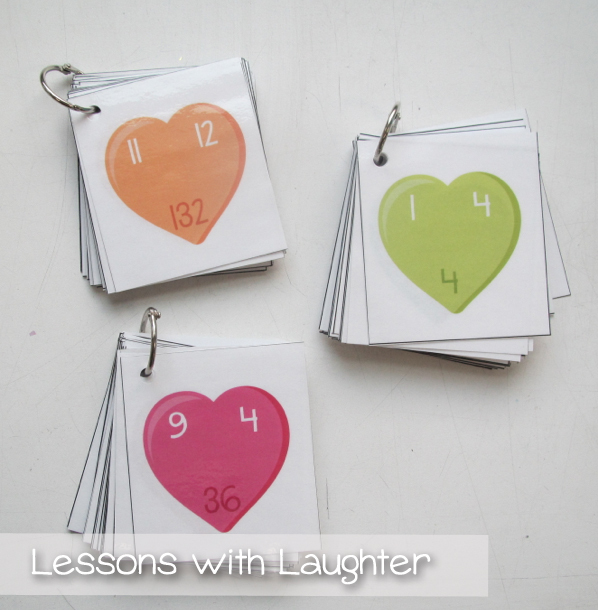 There are flashcards for facts up to 12 for each number. My students are currently working on their multiplication and division facts every day with our Lightning Rod timed tests. They all work at their own pace and they can use these flashcards to help them review the facts that they are on! I found this adorable little heart container (also at the Target dollar spot! 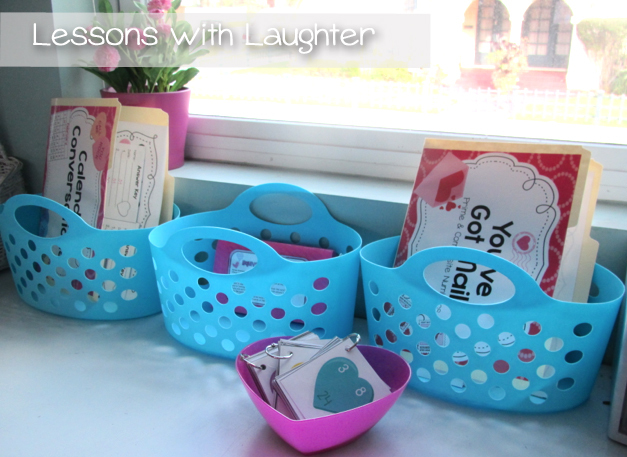 ), which is perfect for keeping the flashcards in! 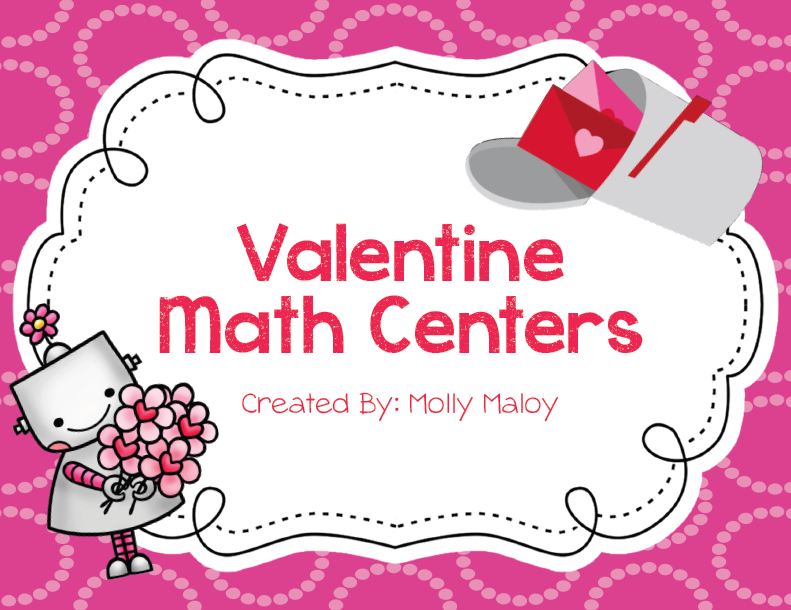 I created a Math Games area this year where I switch out games frequently. I have been loving it (and so have my students!) and it is nice to have them all in one designated area! 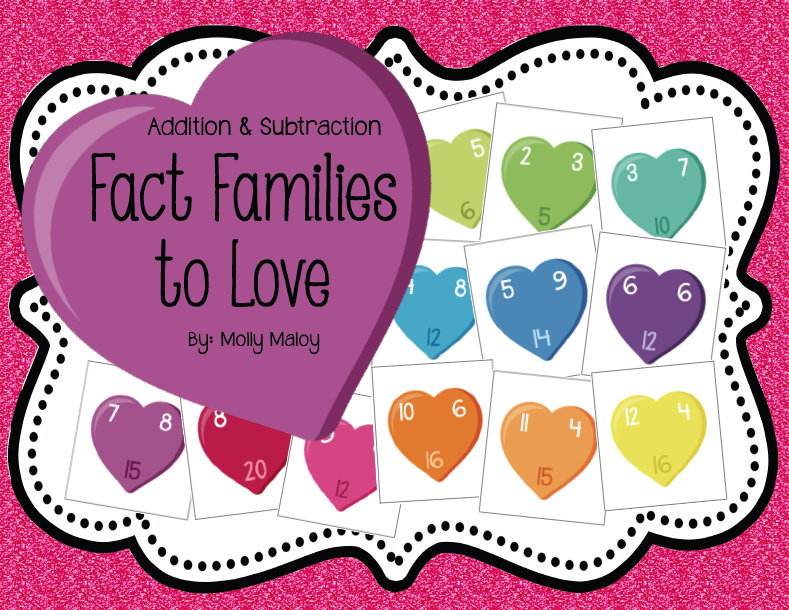 You can get my Fact Families to Love in my TpT store! 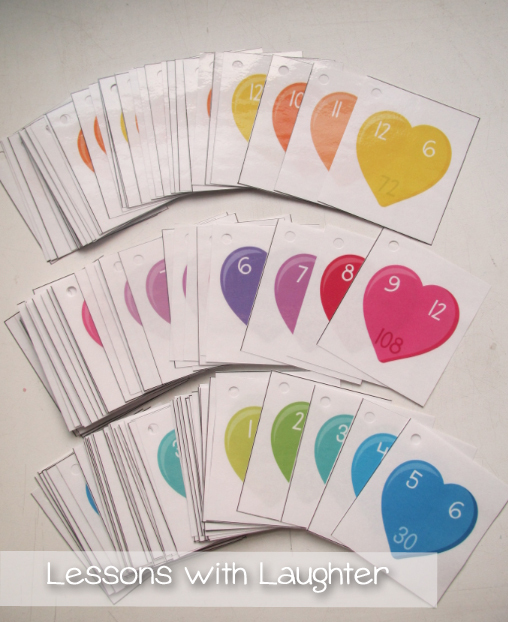 I also have a combo pack with both the Multiplication & Division AND Addition & Subtraction packs! And I’ve been busy making several other new digital products! 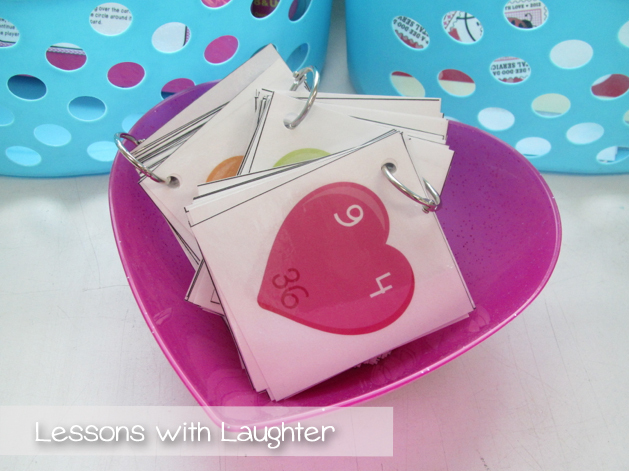 I’m linking up with Tara for her always amazing linky party! 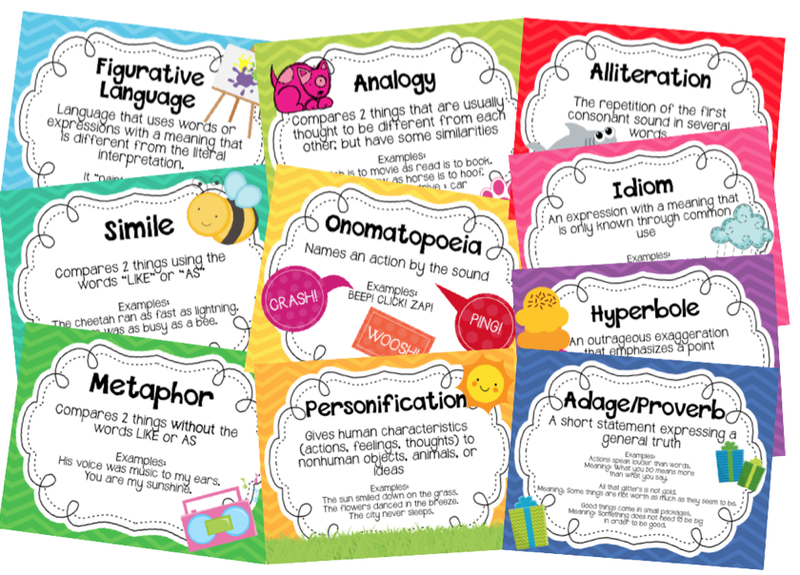 Those figurative language posters look perfect for what I need and will save me so much time! Thank you! And I love the mini-book covers!! Great idea!! Those book covers are a great idea! And I love how you organized them. I love the book covers!! The figurative language posters are amazing too! LOVE the fact family cards! 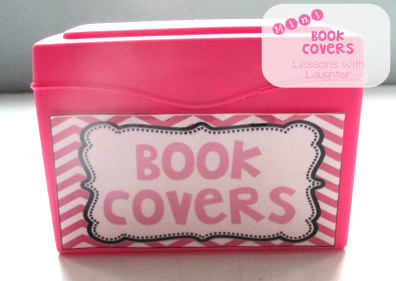 How did you make your mini book covers? Is there a website? Thanks, Shawna! Hi Shawna! I just searched for the book cover images on Google, and then copied and pasted them into blank pages in Powerpoint and printed them off! It takes a little bit of time, but is definitely worth it! Can you share this? I’m going crazy trying to copy and paste them to power point. Thanks, Shawna.